Adrian Flux Home is one of the leading specialist home insurance brokers in the UK and one of only a few offering a full range of insurance cover to Landlords. We can cover everything from a single student let, right through to a portfolio of high spec properties. Remember that home insurance isn't designed for rental properties – you need specialist insurance for landlords. Any property, from terraced houses to whole blocks of flats. Portfolio Insurance, where you have several properties. Let to professionals, students, DSS or asylum seekers. 24 Hour claims hotline with counselling support. Domestic Assistance Helpline with advice and contact details for tradesmen. Discounts for alarms and security locks. Discount when you take Landlord Building Insurance and Landlord Contents cover. Easy payment by credit card or direct debit. Because let homes are, by their nature, a non-standard insurance risk, all our policies are designed especially for the landlord's individual situation and our staff have a high degree of knowledge in this field. Every landlord and let property quote will receive the attentions of a specialist. Each risk will be individually calculated by our expert staff. Please note that our sales staff are insurance experts not just button pushers and along with our tailor made household schemes we believe we offer the best quotation service around. Why not try our free rental yield calculator to see what return on investment can you expect to achieve with your buy-to-let property. Quick & Cheap landlord insurance rates by phone, please click the button below during office hours (9am to 7pm Monday to Friday & 9am to 4pm Saturday) and we will call you back right now, or at a time you specify, for an immediate landlord building insurance quote. Starting at just £19.99, Adrian Flux's landlord legal expenses insurance provides up to £100,000 cover for property legal disputes, attendance expenses and rent recovery costs from your tenants. And extra level of cover, available from just £65.00, can also extend to include up to £50,000 advisor's costs per claim for rent guarantee and provide payments of up to £2,500 per month to cover rent payments missed by your tenants. To find out more about our landlord legal cover and rent protection, click find out more, or call to speak to our team. As a landlord, losing your keys, or having them stolen, can pose both an enormous headache and a big financial burden, with not only the locks on your own house to change, but the locks on every house you own too. 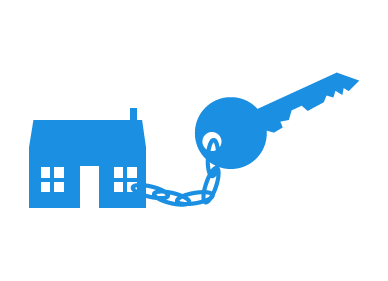 With Adrian Flux's keycare insurance for landlords, we can cover the cost of replacement keys, changing locks, and locksmith fees. We can also provide cover for your own car keys too, paying for keys and immobilisers, and we offer a reward for the safe return of your keys to increase the chances of getting them back if they’re found. From leaking pipes to blocked drains, electrical failures to boiler breakdowns, if emergency strikes, having the right insurance can save you time, headaches, and money. With home emergency insurance from Adrian Flux, you can get your home covered for a wide variety of issues, with tailored cover and flexible payment options, keeping you safe year-round without breaking the bank. To find out more about our home emergency cover, and all of our home insurance policies, speak to a member of our team today.